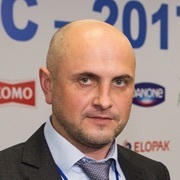 Anatoly Yurkevich, owner of the dairy producer Milkiland in Ukraine, lost about half of his export market in August 2014 when Russia banned Ukrainian food imports. Most of Anatoly’s processing plants are located at the Russian border near Russian consumers. Threatened by these developments, Milkiland had to look for other market opportunities. But where? And who could help? 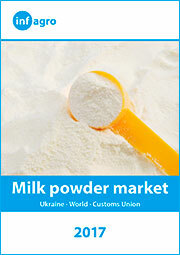 After the Russian trade ban, the Ukrainian market for milk products broke down, hitting poor people in rural areas most. 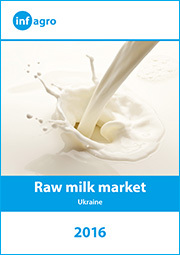 About three-quarters of the raw milk comes from smallholders and village households with a few cows each. 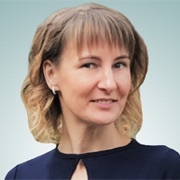 Although Ukrainian companies like Milkiland and international investors like Danone and Lactalis had implemented the highest levels of food safety standards, the government lagged behind with food inspection reforms and implementation of strict rules on producer liability, traceability, and process-oriented risk assessments. 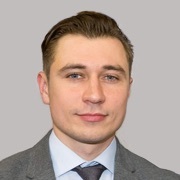 Yet, despite the crisis caused by the loss of the Russian market, Ukraine embarked on one of the most remarkable market access success stories in recent times. Instead of collapsing, Ukraine’s agriculture and food industries—including poultry meat, dairy products, cereals, and oilseeds—are growing again (Figure 1), despite a strong decline in global commodity prices. Today, the sectors contribute 20 percent to GDP and have 40 percent of export revenues. 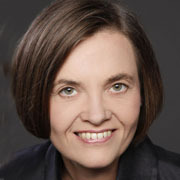 Source: Author’s calculations based on World Integrated Trade Solutions and World Bank Commodity Markets Outlook figures for 2016 from Statistics Office Ukraine. First, the drastic devaluation of the domestic currency was painful for Ukrainian consumers but helped exporters to become more competitive. Today, Black Sea port export prices in Ukraine are market makers for global grain trade. 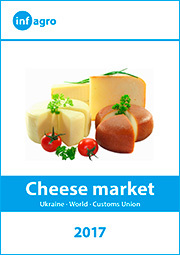 Even in a global environment of low commodity prices, Ukraine can be a competitive food producer serving global markets and food security in the world. Second, the government prioritized regulatory reforms and harmonizing standards. Today’s consumers want high quality and safe food produced in reliable supply chains. 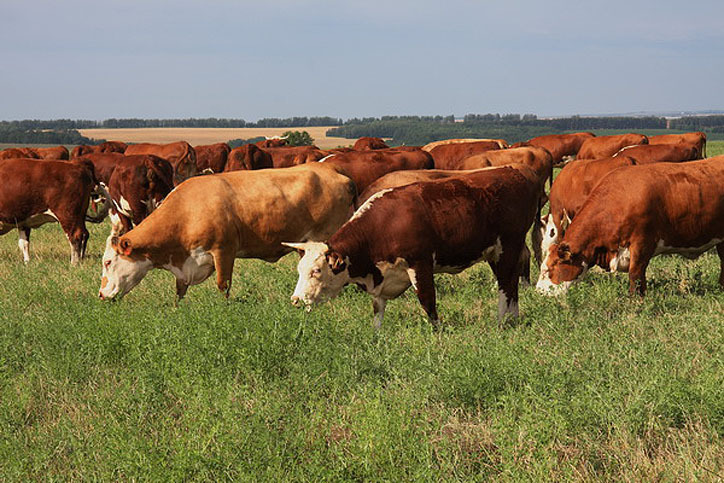 In order for producers to be liable, animals have to be registered and tagged, veterinary and food safety mechanisms have to be established, and international hygiene and food-manufacturing standards have to be adopted. This implies a fundamental re-orientation from old Soviet product standards toward modern process-oriented and risk-based global standards. Third, private-public dialog platforms overcame vested interests in order to create new markets. 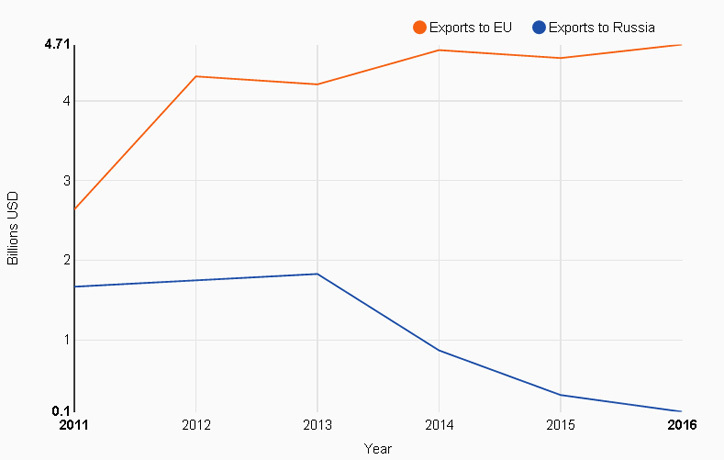 These platforms also generated an understanding that accessing EU markets—a major opportunity in itself—would also pave the way to accessing Asia, the Middle East, and North Africa, which have quickly growing populations and import needs. Comprehensive changes have been made in the poultry and dairy sectors at the firm and government levels that led to the approval of several firms, including Milkiland, as exporters to the EU. Companies could start to export poultry meat in 2013 anddairy products at the beginning of 2016. 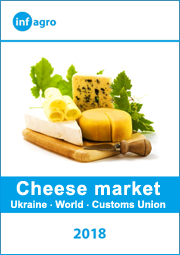 Parallel to the EU market opening to Ukrainian producers, the government intensified discussions with food safety authorities in China, which led to Ukrainian access to Chinese dairy market at the end of 2015. 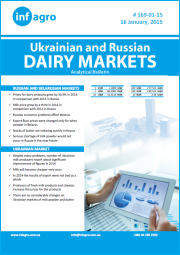 In 2014 Ukraine’s farmers and traders were also concerned about global agri-commodity markets. Prices for cereals and oilseeds went down and forced producers and the government to have a closer look at production costs. Ukrainian farmers receive a lot less at the farmgate than their international competitors even though it is the largest global supplier of sunflower oil and the third-largest exporter of cereals (wheat, barley, and corn combined) after the United States and the EU. 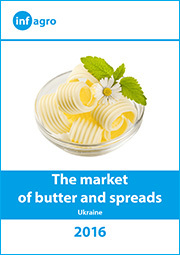 However, Ukrainian producers often lost out because poor transport infrastructure and excessive regulations added significant costs before the product reached the Black Sea ports. Traders had to register export contracts and pay for mandatory certification of grains and grain silos while importers would require additional documents from global specialized private certifiers to check quality and safety of the product. 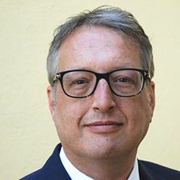 Compliance costs—the time and money that a firm invests to get necessary export documents—could easily add up to more than $10 per ton, which is about 30 to 40 percent higher than in other European countries.